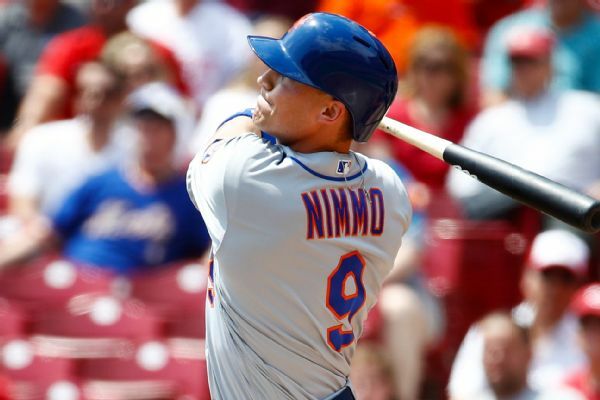 Nimmo (neck) remains on the bench Friday against St. Louis, Tim Healey of Newsday reports. Brandon Nimmo and Amed Rosario earned slight raises from the New York Mets. Nimmo is likely to be eligible for salary arbitration after this season and Rosario after the 2020 season. Following initial beliefs that Brandon Nimmo was dealing with food poisoning, his wife tweeted Friday that the Mets outfielder actually came down with a virus. Mets outfielder Brandon Nimmo, who had reached base in his previous 10 plate appearances, had X-rays on his finger after a pitch hit his bat and then his hand. 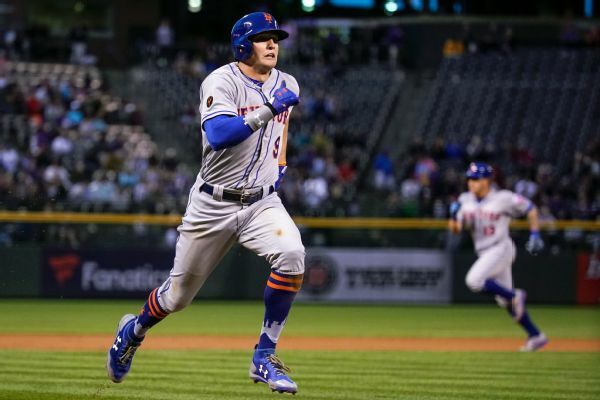 Mets outfielder Brandon Nimmo didn't start in Monday's 6-4 loss to the Pittsburgh Pirates because of a sore right pinkie. 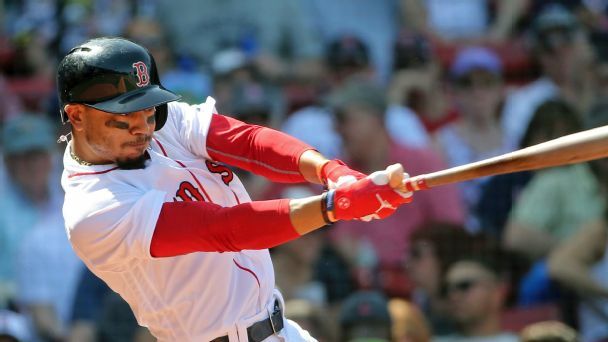 With several headliners bowing out, the best Derby showdown would pit mighty mites such as Mookie Betts against supersized monster mashers. 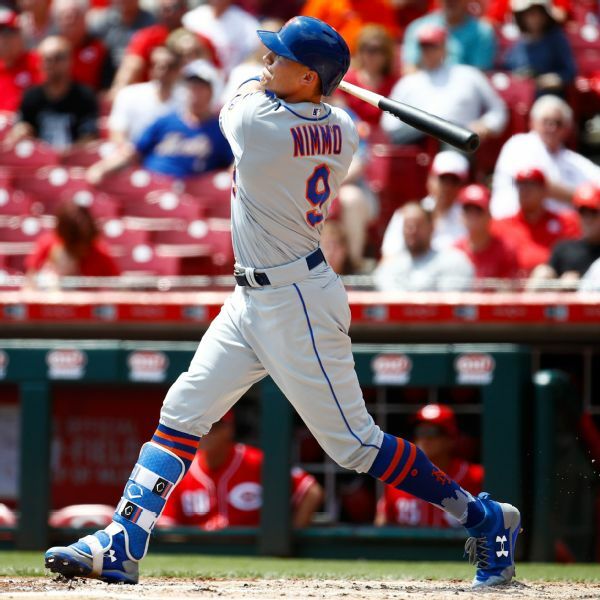 Mets outfielder Brandon Nimmo has reached base safely in eight straight plate appearances, including a 4 for 4 night Thursday in a win over the Brewers. 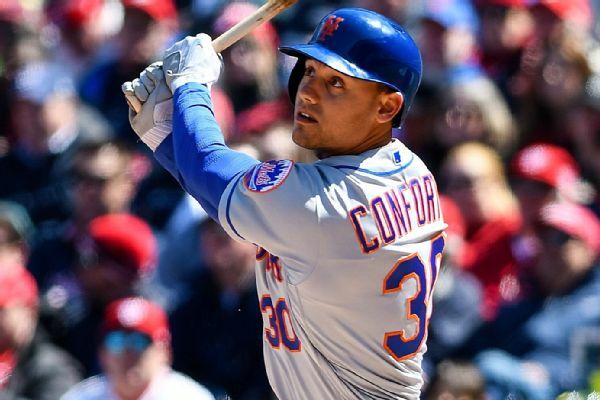 They got Michael Conforto back from the DL, their top starters are dealing and they just spanked the Nationals. 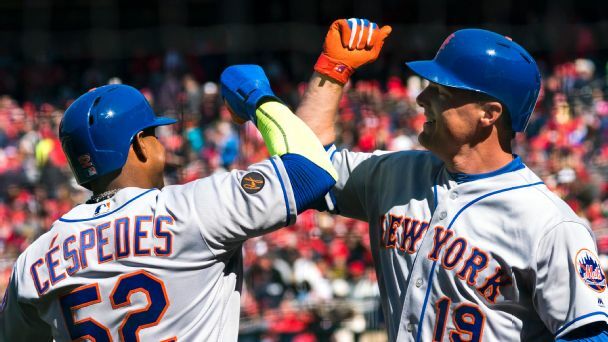 How strong could the Mets be? 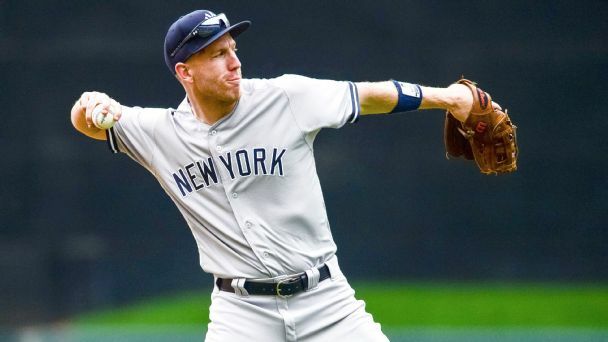 The veteran third baseman provides enough power and value at the plate to go with solid defense, making him worth his two-year, $17 million contract. 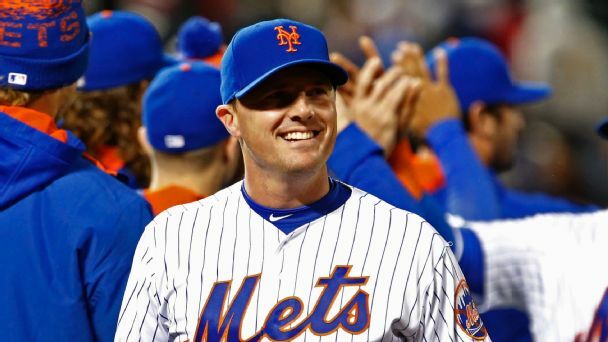 Teams weren't going to avoid big deals forever, but the Mets re-signing their former right fielder is just the first answer to many offseason needs.